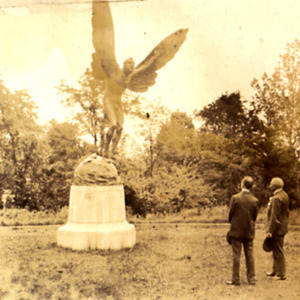 This view shows the statue as it would have looked shortly after its installation and dedication in June, 1919. 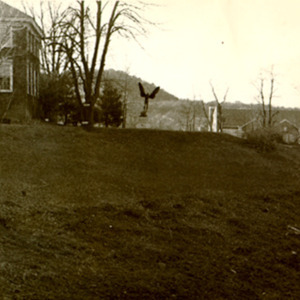 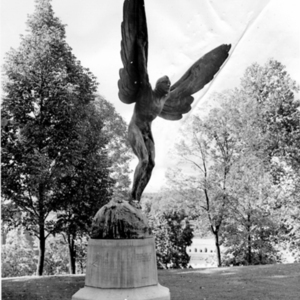 This photograph was taken after the construction of Memorial Gymnasium, but before the that of Alderman Library in 1938; the view shows the statue's original relationship to Miller Hall. 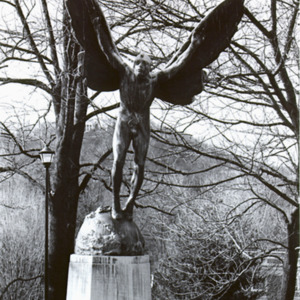 Note that much of vegetation surrounding the statue has been removed. 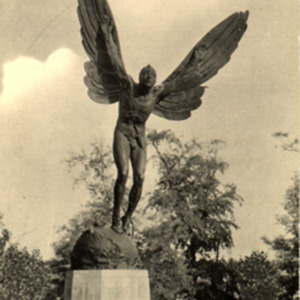 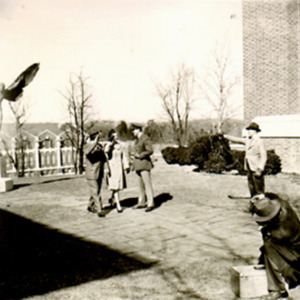 This photograph taken in the mid-1940s (after the construction of Alderman Library) shows elimination of the statue's leafy setting; the statue now serves as the terminus for the walkway in front of the library. 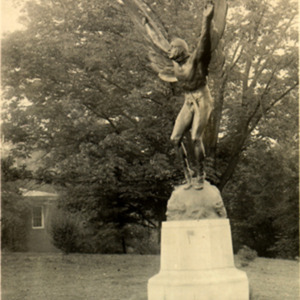 These views show the statue in the setting it occupied for middle part of the 20th century. 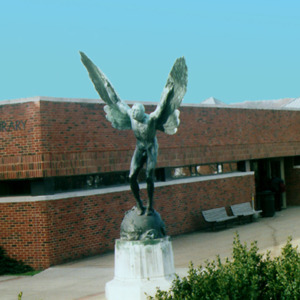 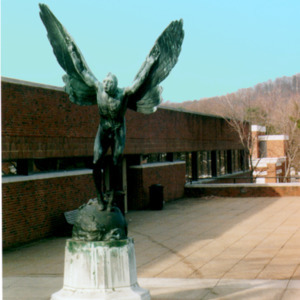 These views, taken by Deej Baker from the front of Alderman Library, show the statue as it has been sited since the construction of Clemons Library in the 1970s.